As a baby, Cohen was always off the charts in both height and weight. I'm talking 90th percentile in size for everything - he was like a boss. But around six months old he was almost hospitalized with severe bronchitis. He was prescribed a nebulizer and inhaler which became part of his daily routine for the next three years. Anytime the poor kid got sick, the only way he was able to kick it without having to end up in the hospital was by a dose of oral steroids. Allergy season didn't help our matter either as it just irritated and flared things up even more for him. Thankfully Cohen has started to grow out of his asthma-like tendencies. But after years of steroids it took a hit on his size. My boy has really struggled and had to work hard to try to get back to an average height and weight for his age group. 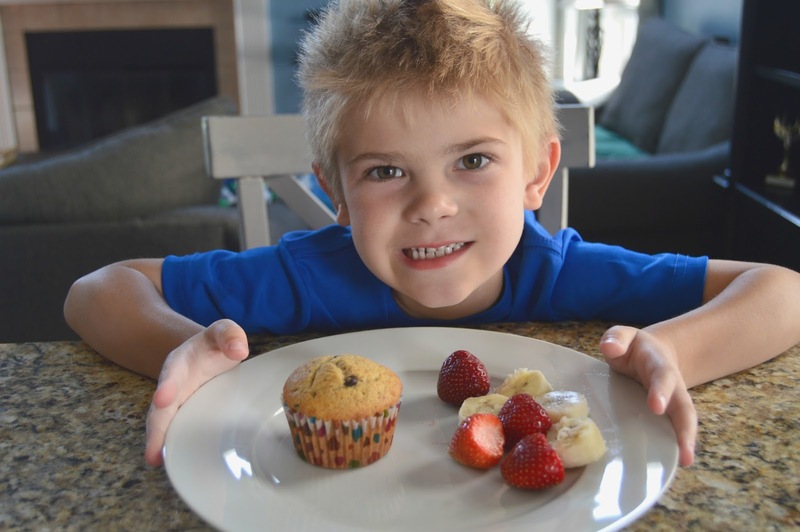 As a parent you feel helpless because you want the best for your child, so I have tried to foster healthy activities and eating habits to help him grow and maintain a healthy size. 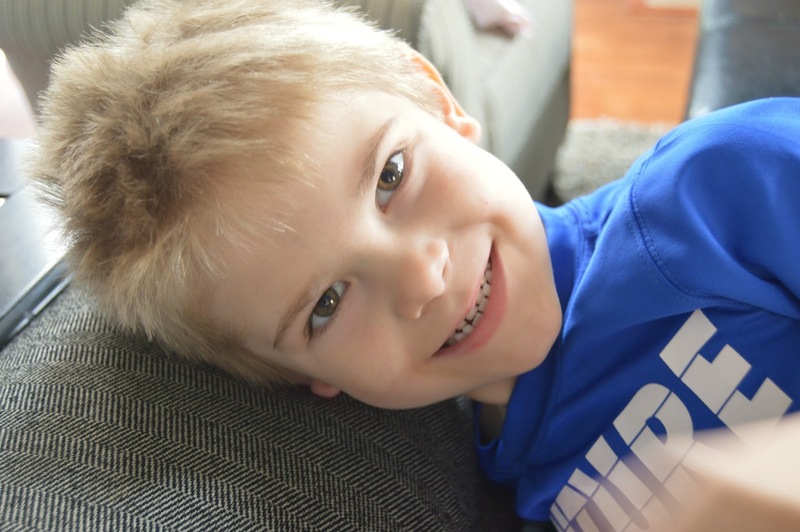 Recently we visited the pediatrician for Cohen's five year well visit. I have made sure to keep up on these visits since we dropped the dosage of the oral steroids a few years ago. While his head is healthy and big (75th percentile), his height and weight are still a bit below where his doctor would like to see him. We were given the green light to eat anything and everything - including milkshakes! But here's the tricky part - Cohen is probably one of the pickiest eaters you have ever met. So I have to be sneaky about how I get him to eat certain things, otherwise the kid would live on chicken nuggets and string cheese and I want to make sure he is getting all the proper nutrients his growing body needs! Our pediatrician recommended trying PediaSure® Grow & Gain which is clinically proven to help kids grow if I give him two shakes a day for 8 weeks. I was wiling to give it a try to help my little buddy out! As I was making my weekly Kroger grocery list, I decided to find a few new recipes to try out for our menu. Since summer is here I like to change up our breakfast selection and once again, there are only a few things that Cohen will eat for breakfast. 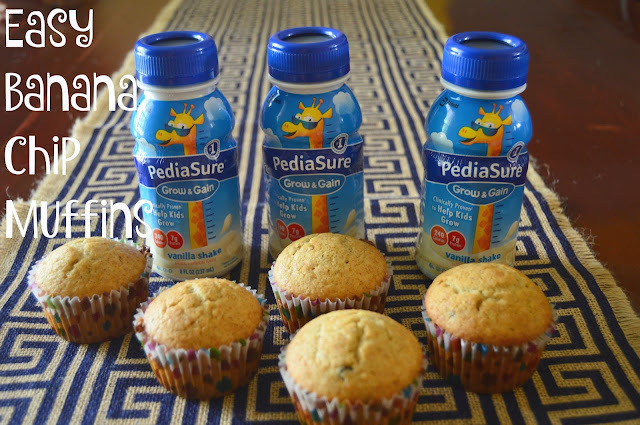 I found a great recipe for Banana Chip Muffins on the PediaSure® website that incorporated PediaSure® Grow & Gain as one of the ingredients. 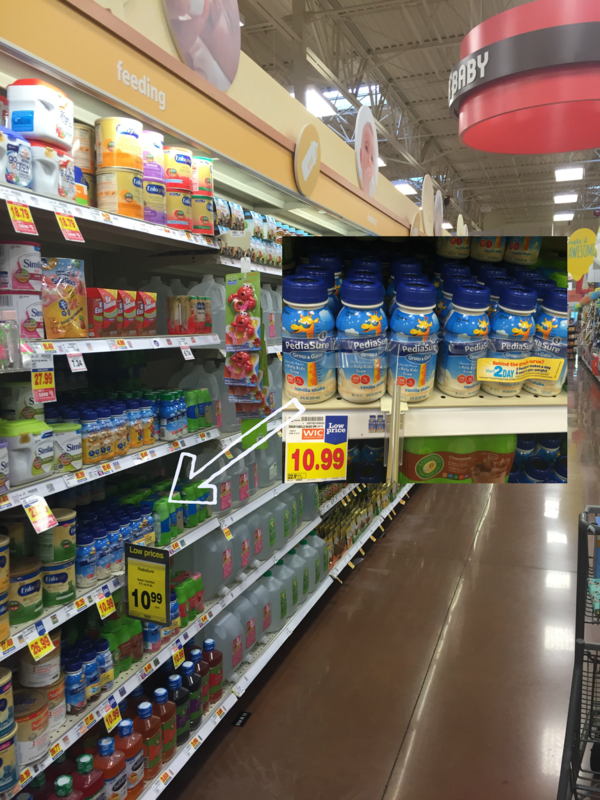 Kroger even offered a coupon for $3 off two PediaSure® Grow & Gain products which was perfect because I could stock up on these products for Cohen! 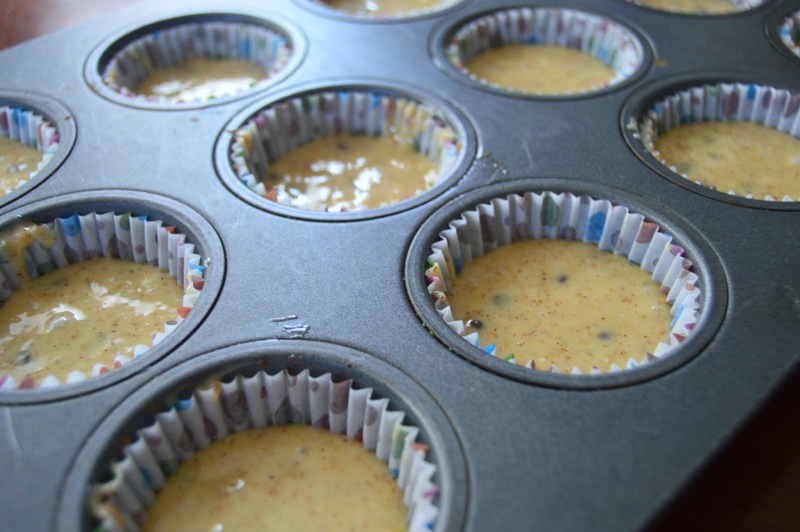 Muffins are one of our favorite breakfast treats so I knew this was going to be a great option for the family. This recipe is perfect in so many ways. The fact that it is so simple has made my mommy heart leap with happiness. Because let's be honest - life with three kids makes doing anything three times harder, so I don't have a lot of time to spend in the kitchen. 3. 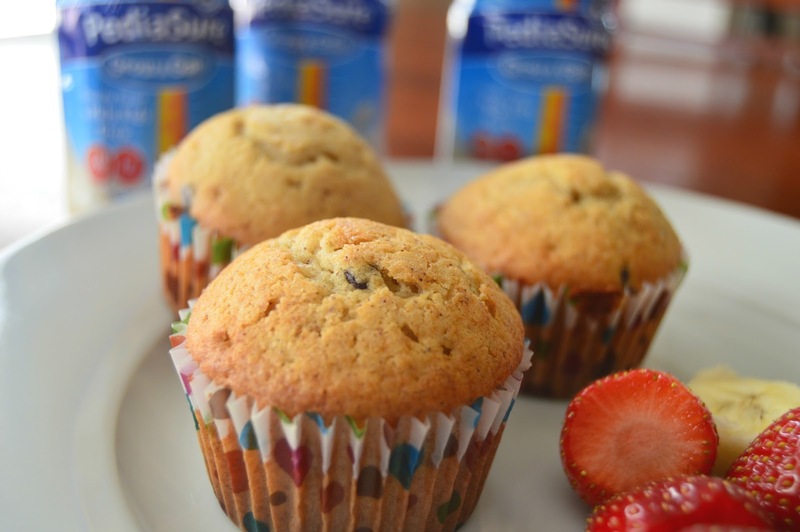 Combine the bread mix, PediaSure® Grow & Gain, oil, chocolate chips and eggs. Beat 50 to 75 times until the mix is moistened - it will still look lumpy! 4. Fill muffin liners 3/4 of the way full and bake for 15-25 minutes, until you can insert a toothpick into the muffin and it comes out clean. 5. Cool the pan on a rack for 5 minutes. Then remove the muffins and serve. 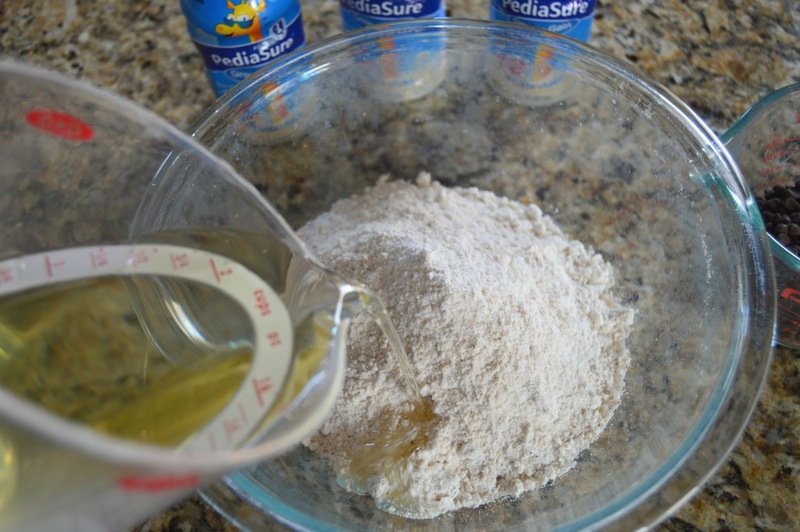 The recipe is easy and delicious - it has been a HUGE hit with Cohen! 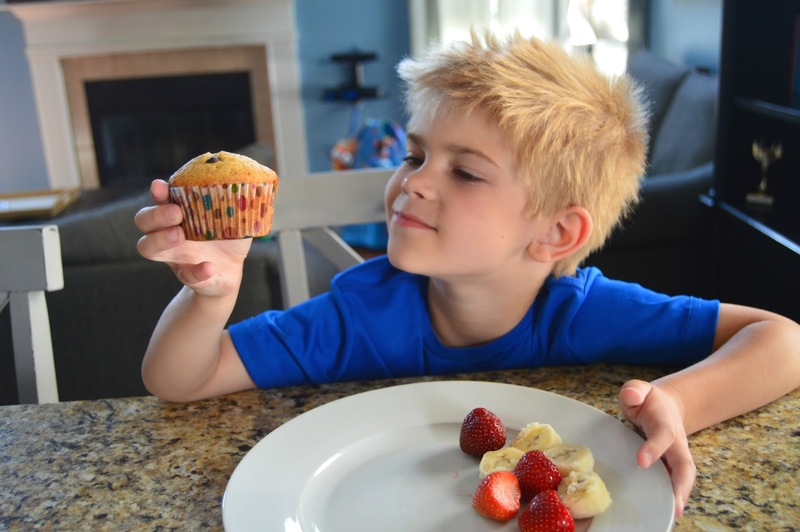 This is great on so many levels but especially since I know that he's getting his PediaSure® Grow & Gain by eating these muffins. I'm kind of excited to go back to the doctor for a weight check because I'm certain he will have gained some weight. With Kindergarten right around the corner, this kid will be exposed to a whole new plethora of germs and bugs so I know illness is unavoidable. However my goal is to continue offering him healthy and well balanced meals so if he does need a round or two of the oral steroids, Cohen can maintain the growth he has worked so hard on achieving and keep him as healthy as possible for his first big school year. 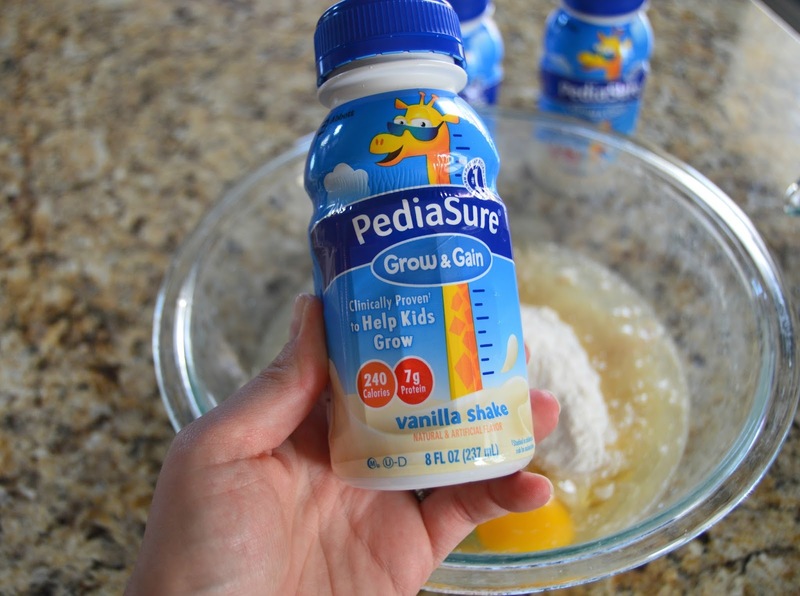 Have you checked out the amazing recipes that incorporate PediaSure® Grow & Gain? I'd love to hear about your favorites!